The Trump campaign on Friday sent a fundraising email and several text messages to supporters misquoting Attorney General William Barr, claiming that he had confirmed the existence of “unlawful” spying on Donald Trump’s campaign during the 2016 election. 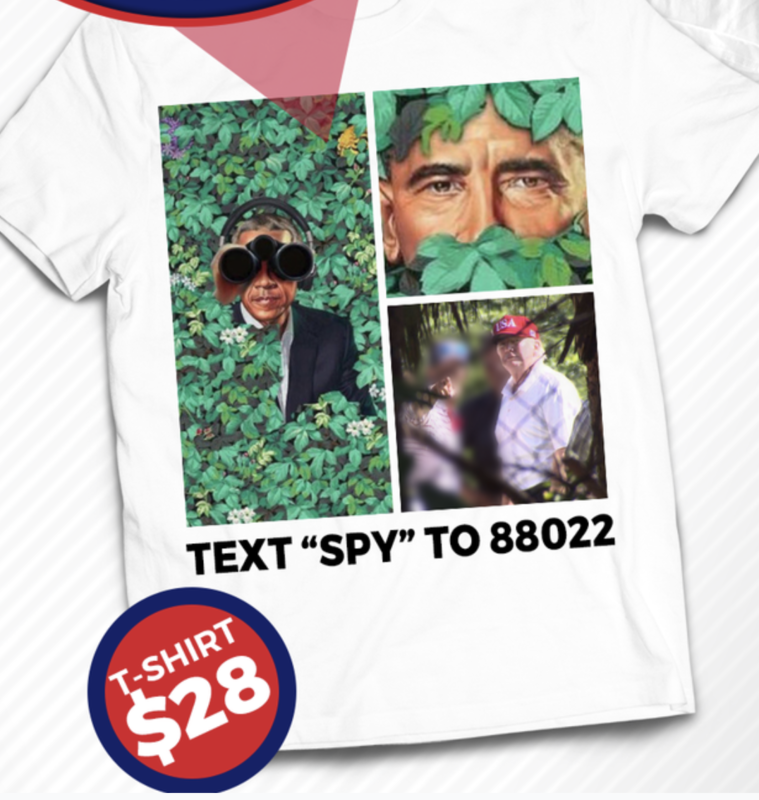 The campaign also linked to a donate page where they are selling t-shirts showing former President Barack Obama spying on Trump while he plays golf. Former intelligence officials swiftly rebuked Barr’s remarks this week, including former FBI Director James Comey and former Director of National Intelligence James Clapper. Here is the T-shirt which can be yours (not a chance) for $28.